Named Kensington for its simple regality and English Country side manner, the Kensington Folding Side Chair is compatible with a number of our Grade A Teak dining tables; try it with a couple of Kensington Arm Chairs around a Capri Rectangular Extension Table for a grand, stable and classic look. 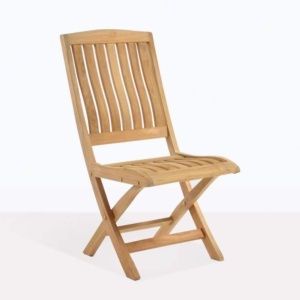 This Grade A Teak chair features a handle in the seat, which lifts up, folding the chair down for easy storage. Perfect for those impromptu outdoor dinners! 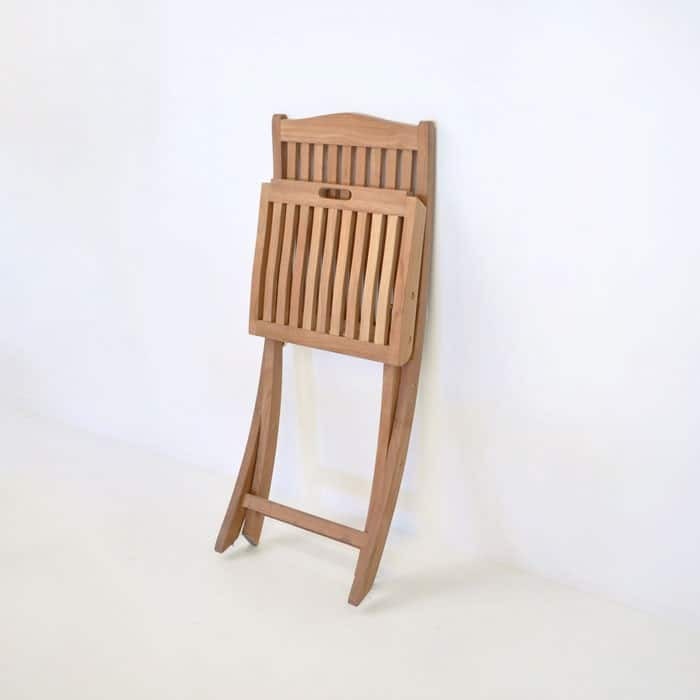 Our Teak Furniture is the Finest Quality Teak Furniture in New Zealand and throughout the world. 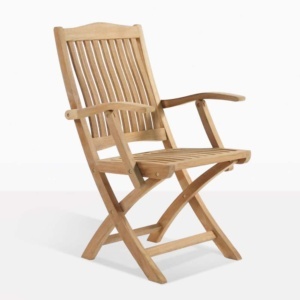 Teak wood is the premier choice for outdoor furniture. Teak is a stable timber with inherent water and rot repellancy, due to its high content of oil and rubber compounds within the wood. Teak is a highly valued wood because of the even grain and beautiful color. 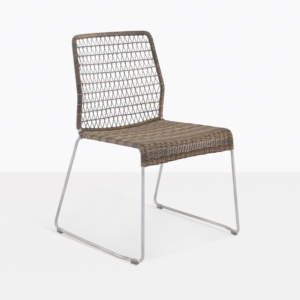 It has been the natural material of preference in the shipbuilding and furniture making industries. 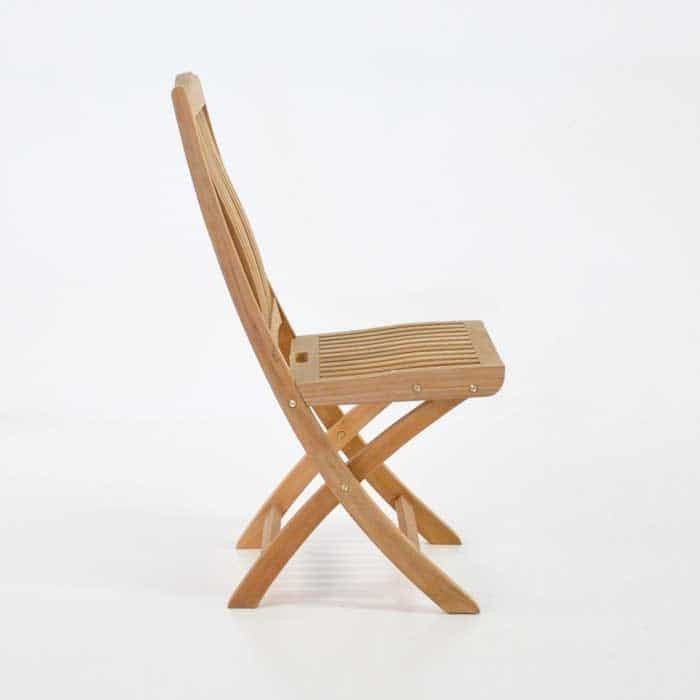 Teak is a durable, strong wood, which has high resistance to insects and is virtually immune to decay. Teak outdoor furniture is a practical, durable and more importantly a beautiful option for your space. 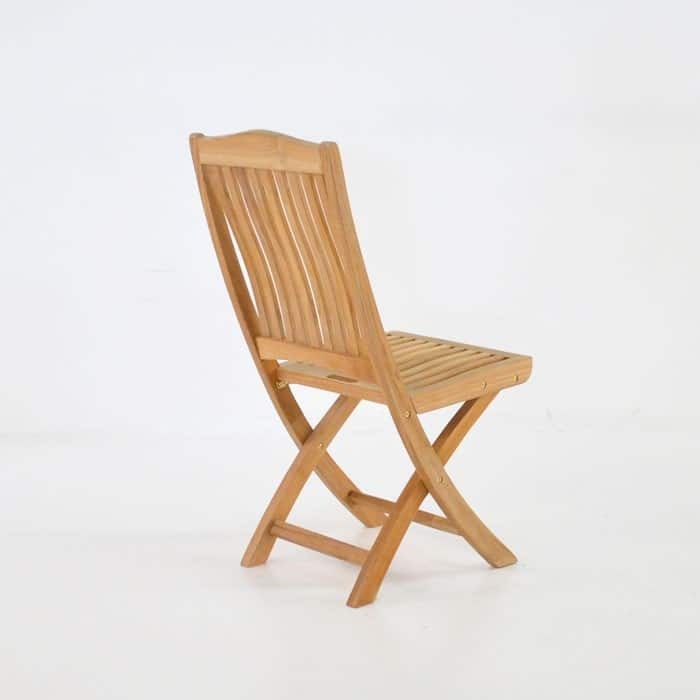 Teak patio furniture can be left out, exposed to the weather with the expectation that your furniture will not become warped, waterlogged or twisted. 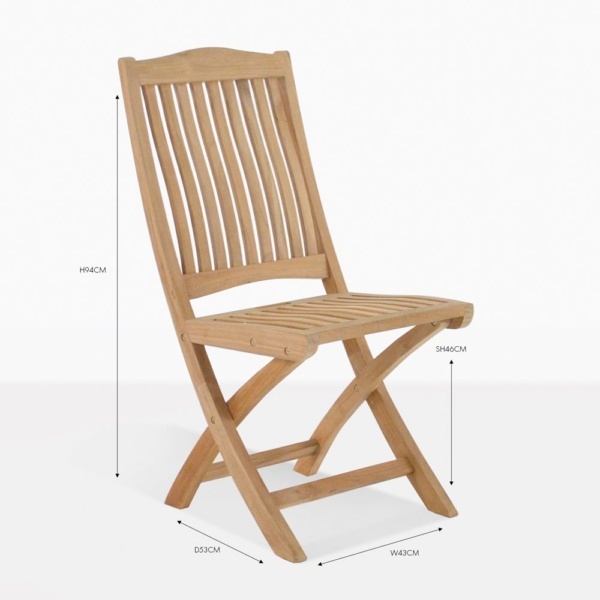 Teak outdoor furniture from Design Warehouse is built for longevity and great looks. For specific care instructions for A-Grade Teak, click through the following link.